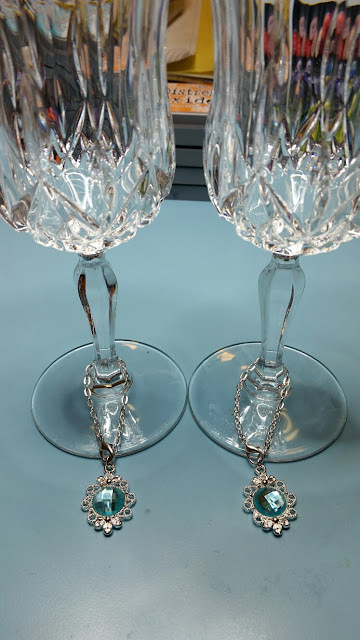 Don't Mess With Me, I'm Scrappy: Dress Up your Wine Glasses! 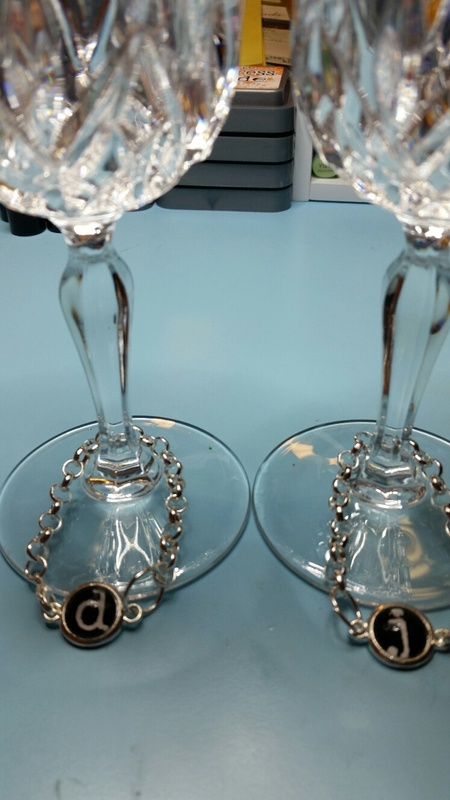 Dress Up your Wine Glasses! With school back in session for many of us, I tend to start thinking about the fall, and with the fall comes holidays, and holidays means entertaining! With a kids party a Sharpie on paper cups can work great for identifying which drink belongs to which person, but personally I don't want to use a Sharpie on my wine glasses. So instead, we can use our Craft Fantastic goodies and make something cute and special! So lets get started. I chose the following to work with: round charm bracelet kit in silver, 24 inch rolo chain in silver, tiny round link tray kit, tiny round ornate kit in silver, butterfly link tray kit in silver, silver lobster clasps, tiny round glass bling, large silver jump rings, small silver jump rings, bright butterflies all size glass image sheet, typewriter keys mini and small glass size image sheet, fantastic super sticky dots, and fantastic glaze and glue. Select your images from the image sheets and use a drop of glaze and glue on the flat side of the jewelers glass, place on your chosen images and hold in place until the glass grabs the image sheet. Then once dry, use a scissor to trim around the jewelers glass. For bling you do not have any prep. Place fantastic super sticky dot on the chosen tray on the side where you will be adhering your jewelers glass or your bling. Peel off the orange piece and adhere your jewelers glass or your bling to your charm base. Next you can use a piece of chain measured to approximately 4 inches in length. 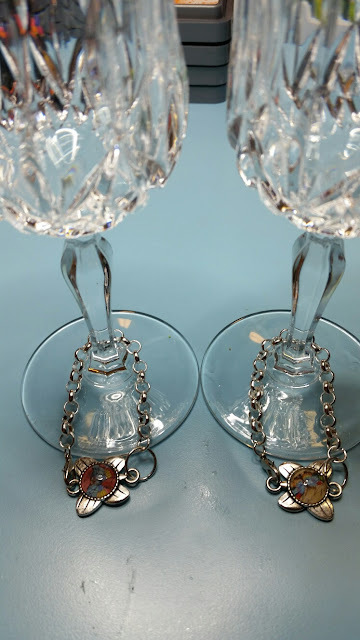 How long your chain pieces should be depends on how long you want the chain to fit around the glass stem. On one end of the chain attach a lobster claw clasp and on the other end, use a jump ring to attach the tray to the chain. Depending on what size the thickness is of the chain will help you to determine what size jump ring you would like to use. I am showing you three different types of trays with two different sizes of chain. One of the things I love about this project is that you can decide how you would like to personalize this. In one of the pictures I decided to use an initial for the person's first name, in another you could use matching bling or various colors of bling, or you could go more for a theme, as i am showing using the butterfly trays with different butterfly images. Really you can have a lot of fun customizing this project. So, what do you think of this project? I would love to see what you come up with. Please leave a comment below and let me know if you like this project!